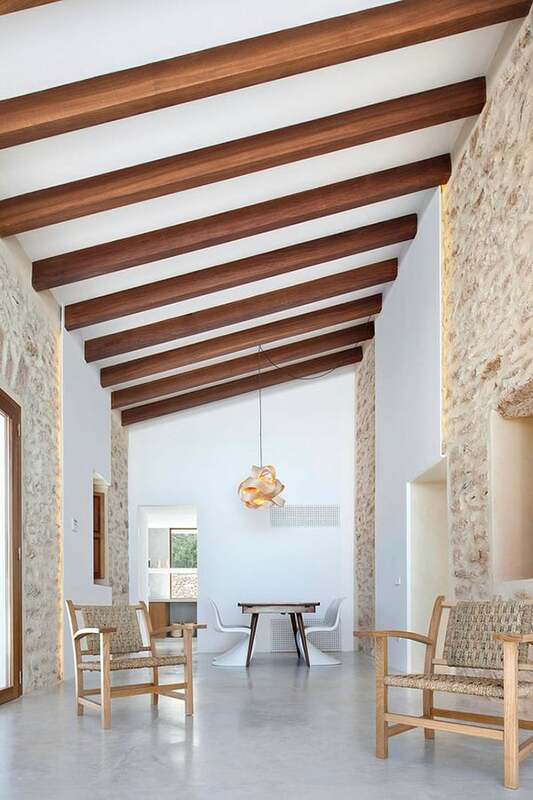 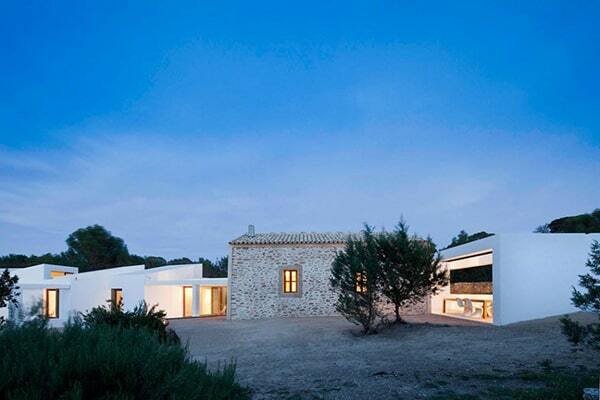 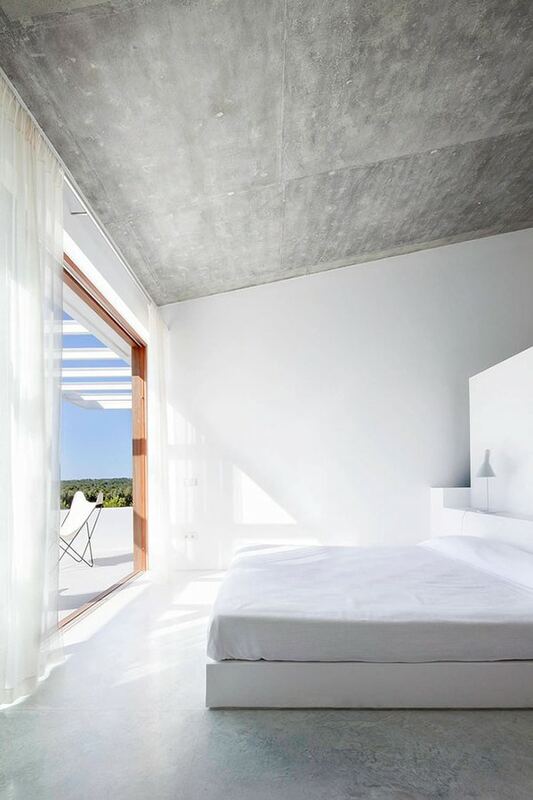 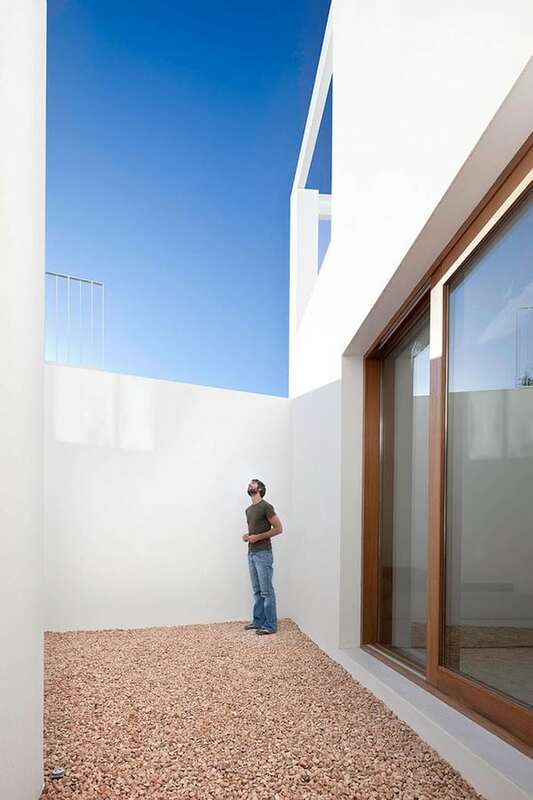 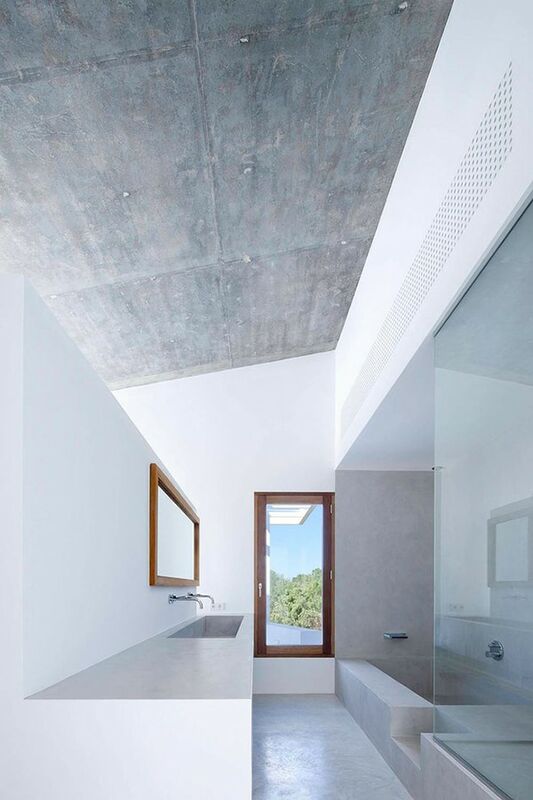 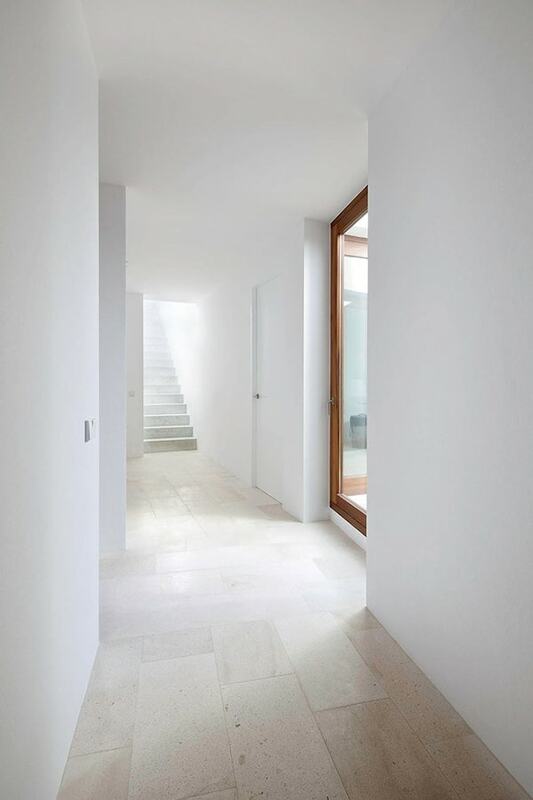 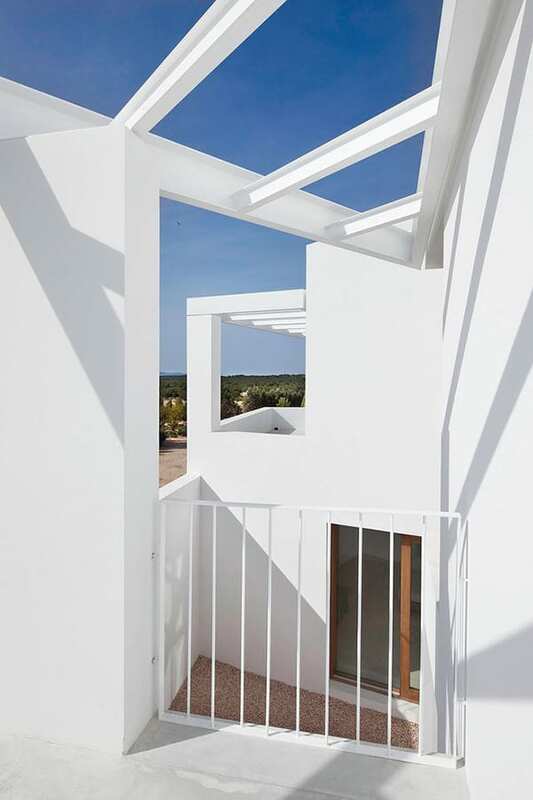 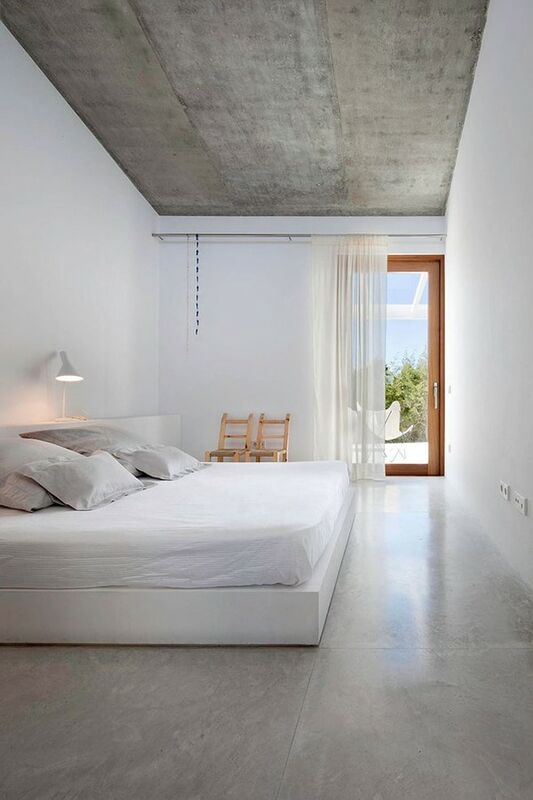 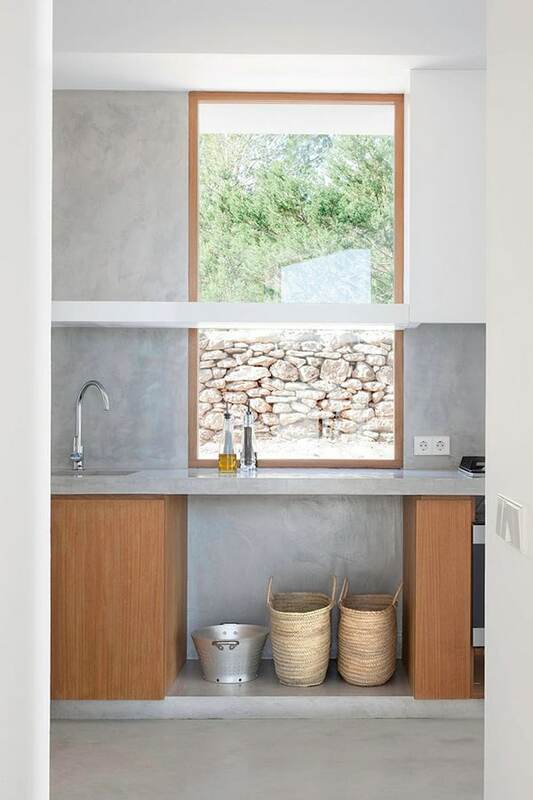 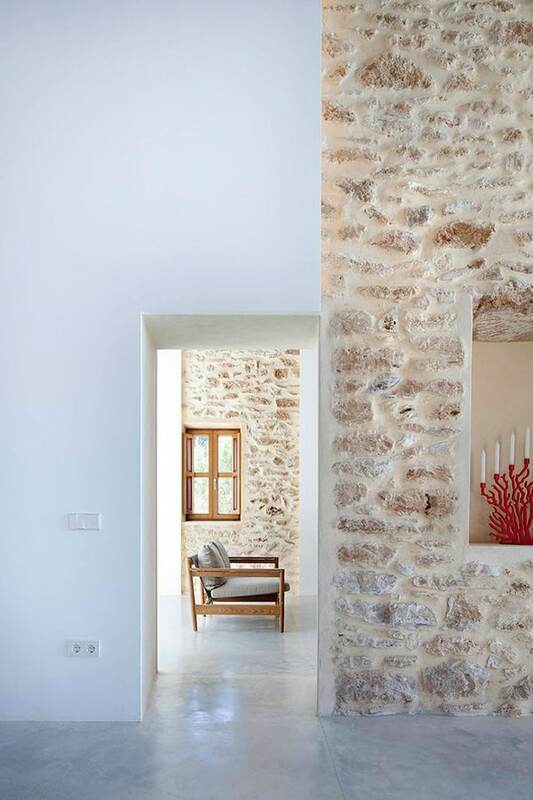 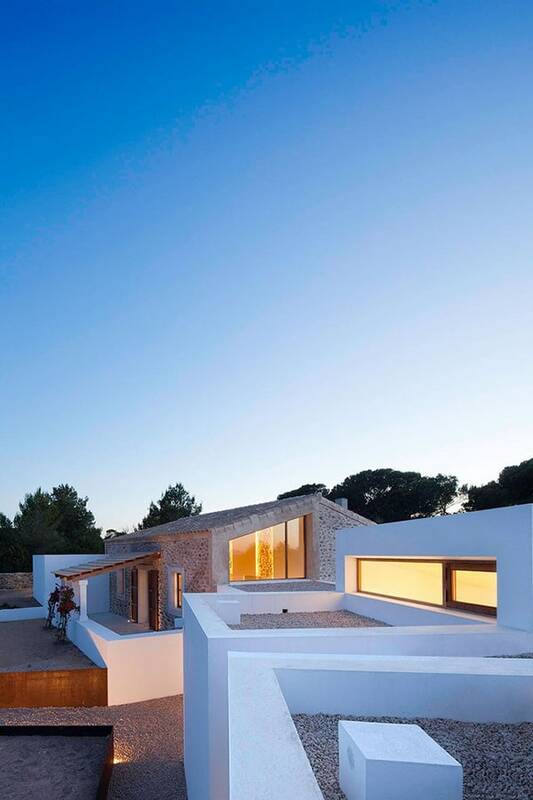 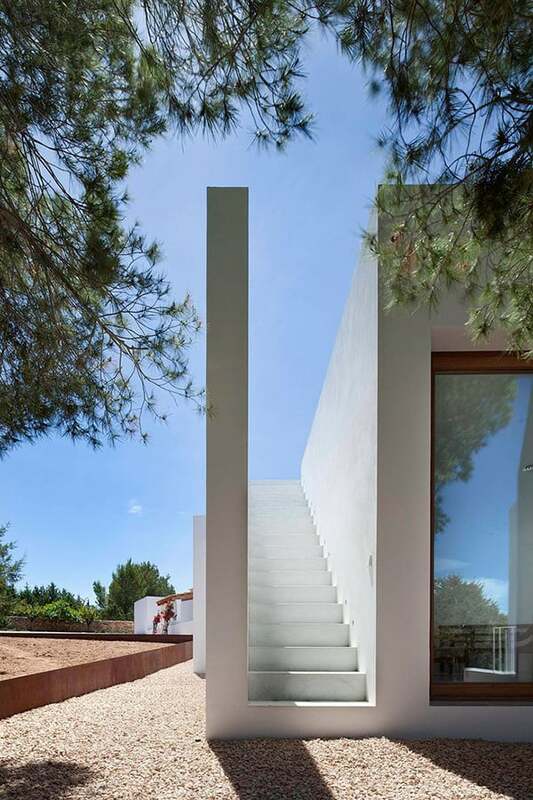 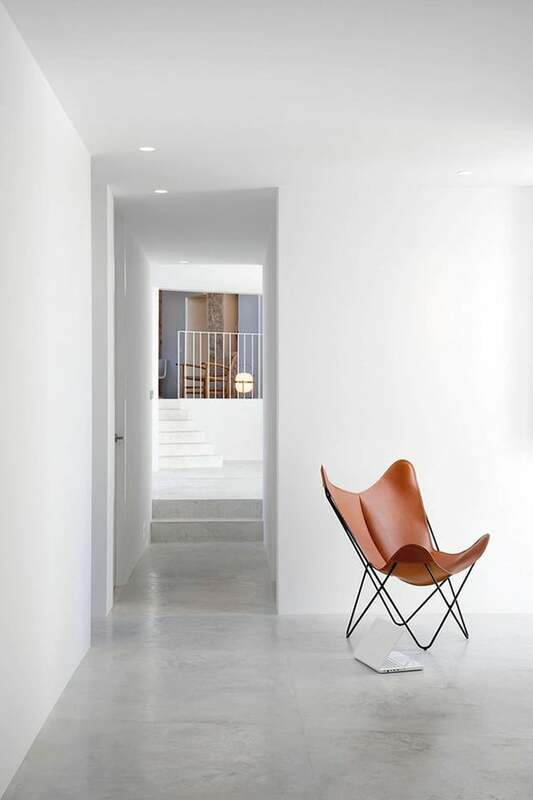 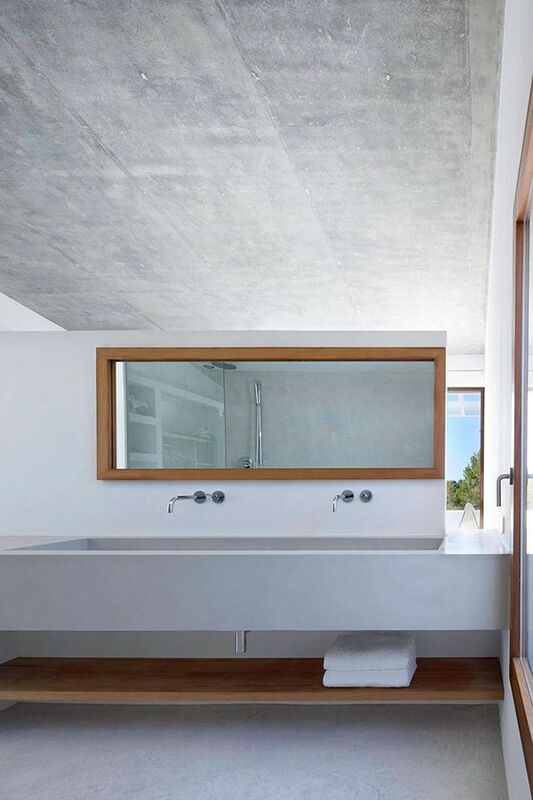 Can Manuel d’en Corda is a contemporary remodel and extension of a traditional stone wall house designed by Marià Castelló Martínez, located on the island of Formentera, Spain. 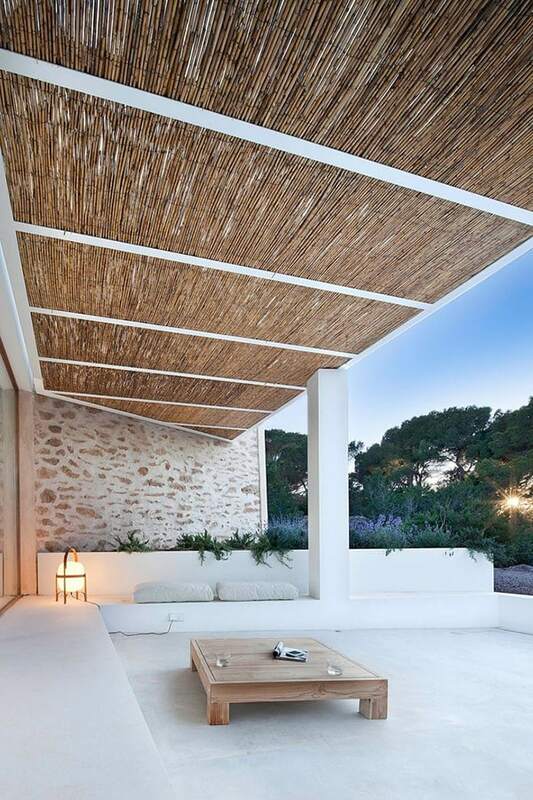 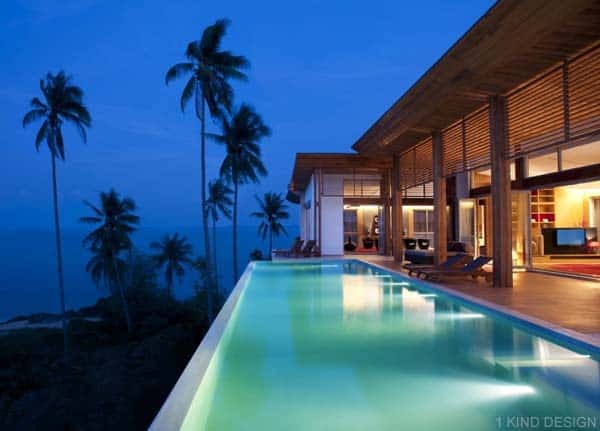 The 6,407 square foot (595.3 square meters) residence is situated on a plot of 19,060 square meters of rustic nature in the area of the Vénda des Cap de Barbaria. 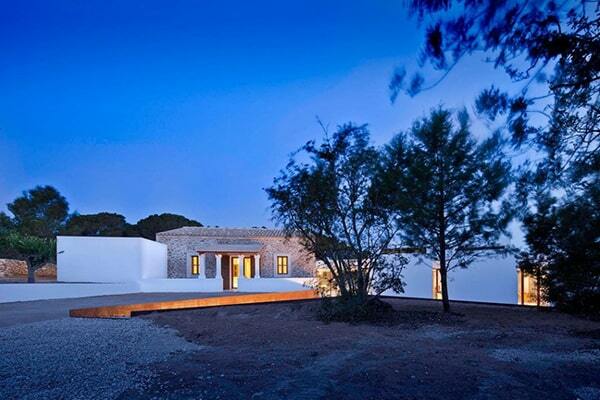 The most significant pre-existing conditions, which have been maintained and enhanced through the project, are a small forest of pines and junipers located in the west area of the estate and the old house Can Manuel de’n Corda, which reflects the scheme type of the domestic vernacular architecture developed in Formentera between the late eighteenth and mid nineteenth century. 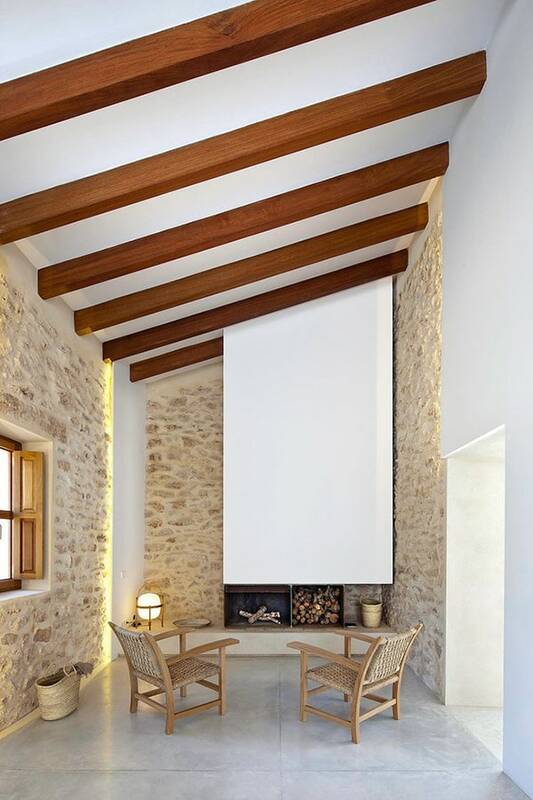 The volume of the main body with simple pitched roof gable and southeast orientation, and its roots in the landscape through the traditional dry stone walls, highlight the link between this type of building with the farms next to which they were located. 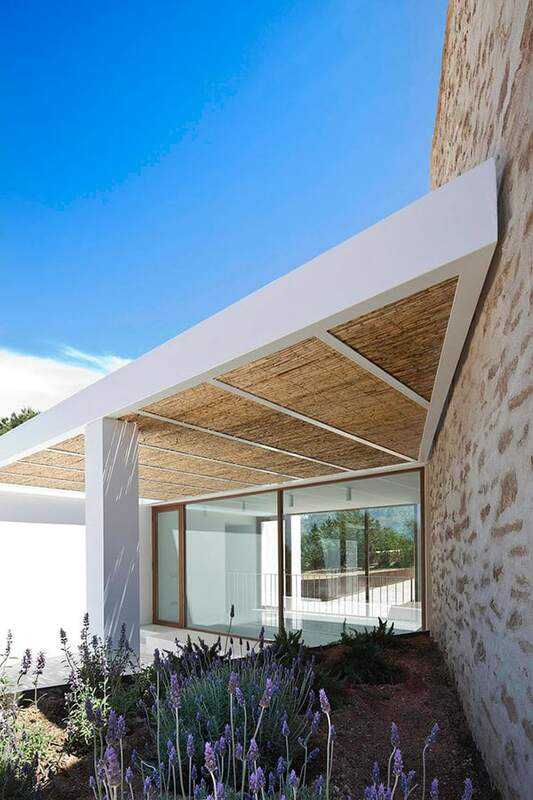 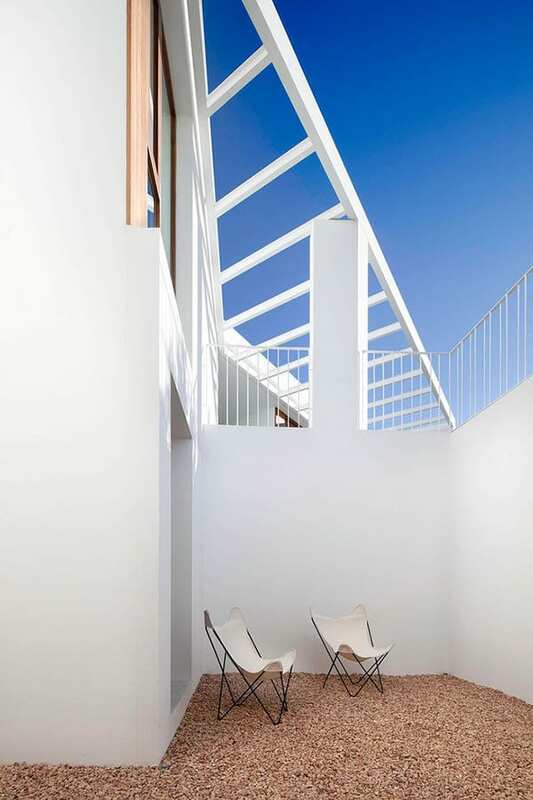 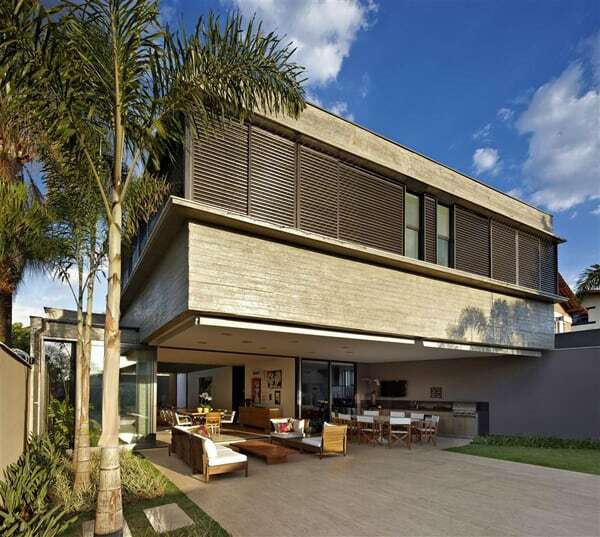 The extensive briefing for the project has been arranged so that while exhaust the urban parameters allowed by the current planning, it distorts as little as possible the existing house and, simultaneously, has its volume so that it has less presence possible from the immediate fragile environment. 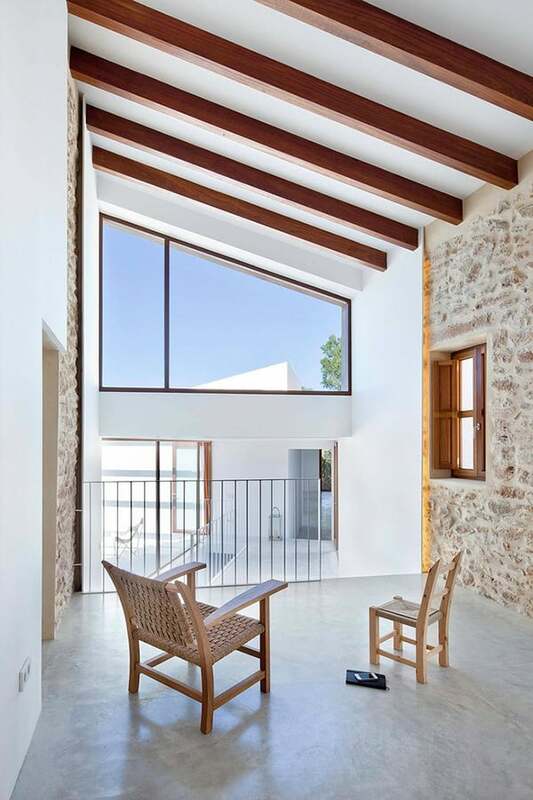 This has been possible through the use of a fragmented volumes available on ground floor in non-orthogonal disposition, offsetting in midsection plant about the level of the existing house,and adapted to the topography as well as keeping intact the facades characteristics of this architectural style ( southeast and northwest facades, where they were all original openings). 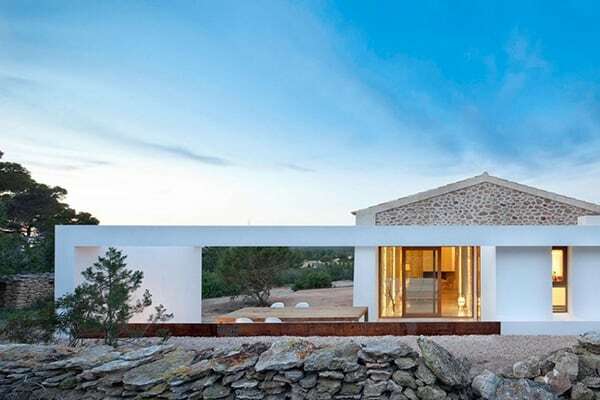 This will resort to the ends that were originally blind (northeast and southwest facades) for connections to pieces of new creation, and to realize the new openings that allow better use of natural light. 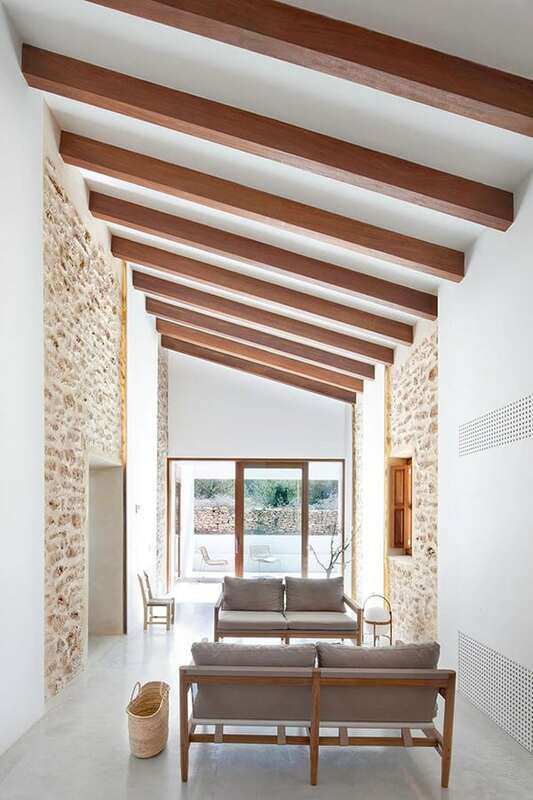 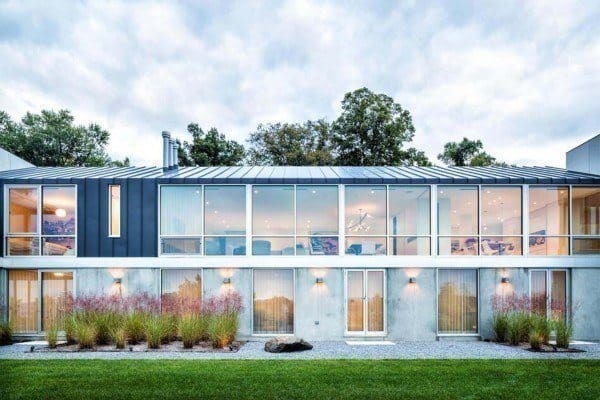 Although it has been maintained the original main entrance of the house with its southeast orientation, at a strategic level the new house turns its back on the road which limit with the plot by the East side. 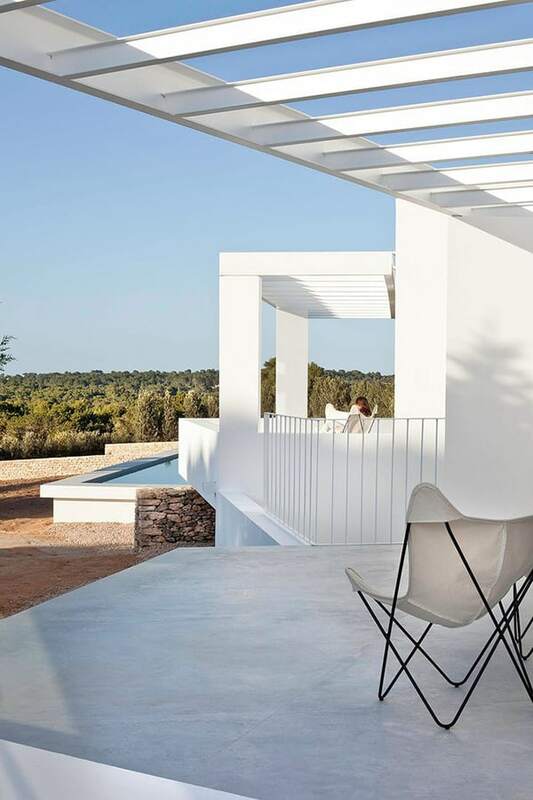 Thus the extension of the home overlooks enjoys the best views to the northwest, which overlooks the island of Es Vedra, an iconic element of the southern skyline of the neighboring island of Ibiza. 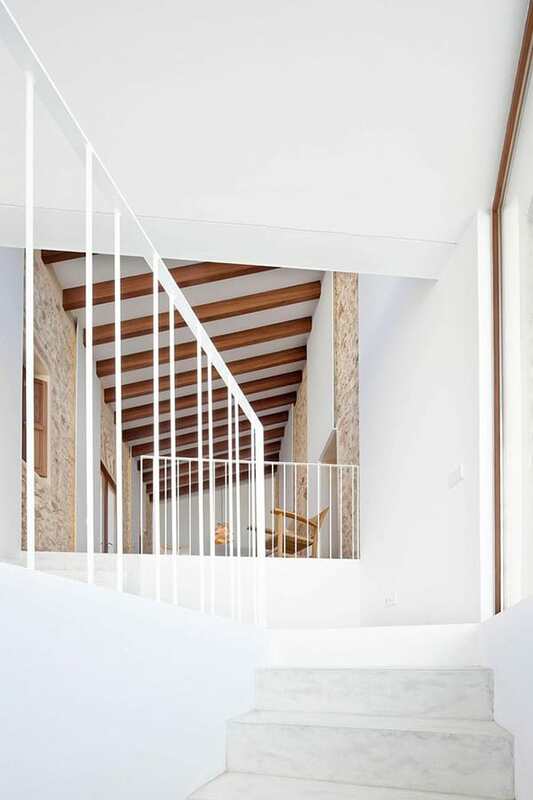 In the original house have been maintained the common areas (living, dining, kitchen and terraces), while on the ground floor of the expansion have been concentrated the bedrooms and service rooms (laundry, cellar, pantry , etc …) and technical premises on the basement. 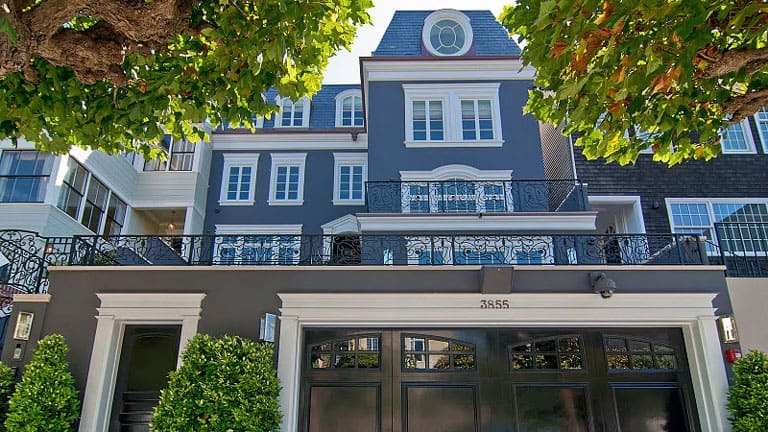 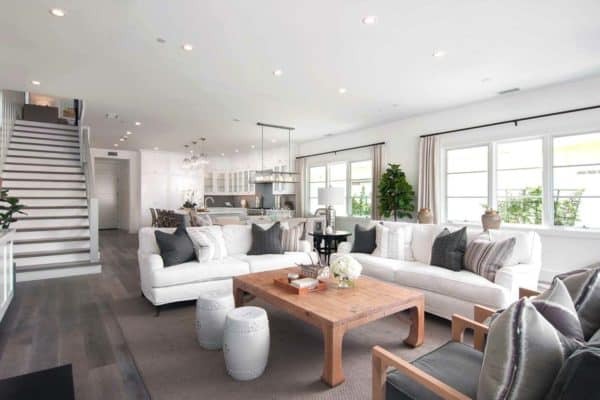 Farmville founder selling San Francisco mansion!